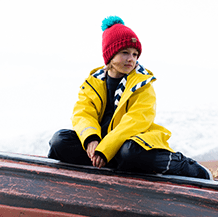 Get ready for the autumn term with our super protective and practical back to school range. 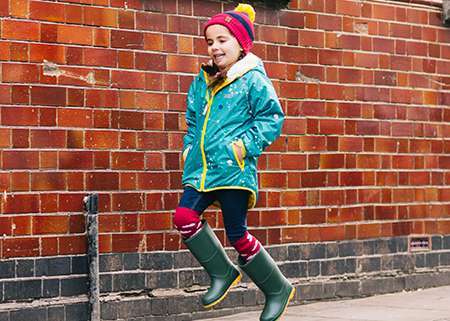 From kids school jackets to handy waterproof backpacks and sturdy wellies for every day use. 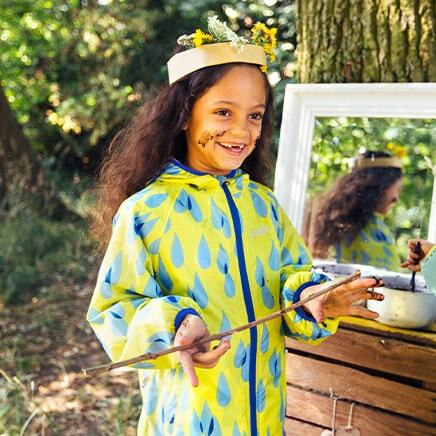 Prepare those bright young minds to learn in the great outdoors with just the right waterproofs for the new school year. 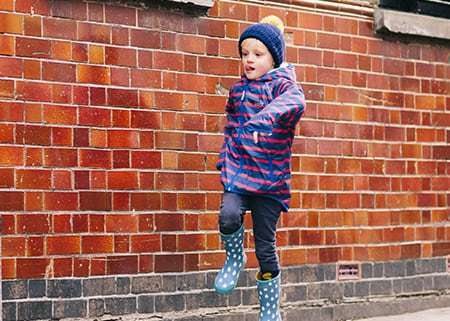 Our back to school range of school jackets, children's wellies, waterproof trousers and handy backpacks will set little learners up for a great school year ahead. 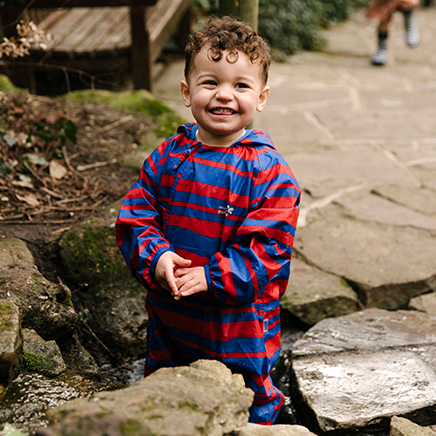 Our selection of school essentials are designed with practicality in mind; they perfectly match school uniforms, they’re machine washable and come in unisex prints and colours so they can be passed on to smaller siblings or friends. 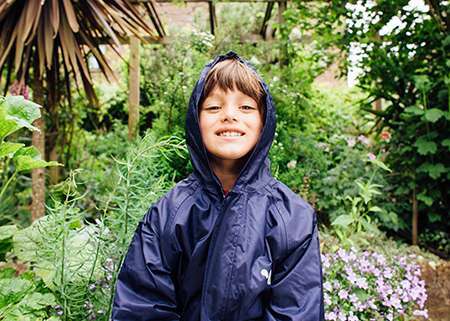 We’ve put together a range of cosy and weather-proof school jackets for girls and boys. Ideal for protection against any weather, they withstand light drizzle, heavy rain and strong winds. We’ve designed them to be extra durable against the rough and tumble of the playground, plus, to last the school year and many more (we offer a one-year warranty on everything). We’ve also added reflective details and zip pulls for high visibility. 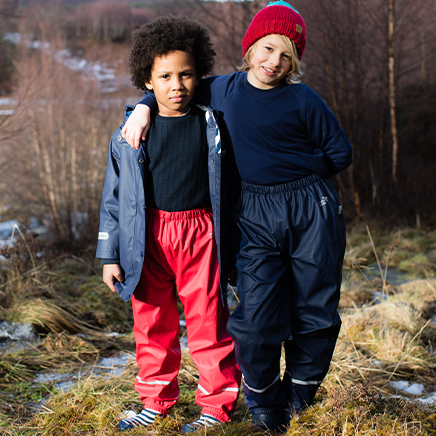 Our waterproof trousers are a perfect match to wear to school, they’re easy to pull over PE kit. 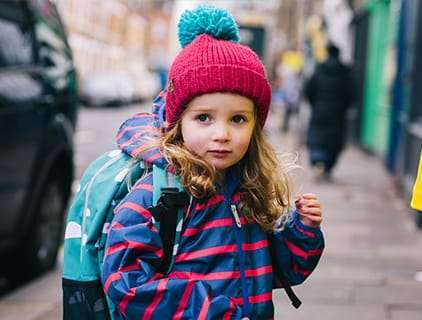 Bright little minds need a handy backpack to give their books, pencil cases, water bottles, toys and other bits and bobs a happy home. Ours come with plenty of space to pack for school or sleepovers. They are rain-proof, perfect for the British weather and easy to wipe clean if they get a bit muddy. The fully adjustable straps and added chest strap gives additional support and provides great fit on those walks to school. 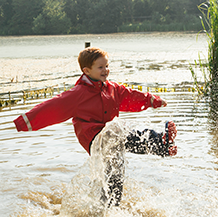 We can find a good pair of wellies on every back to school checklist. 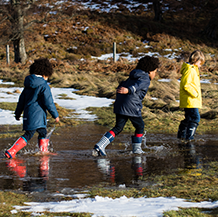 They’re essential for rainy days so little explorers can stay dry when they run, skip and jump through puddles to and from school. The fun prints brighten up even the gloomiest of days and the reflective strips ensure children are visible even on early mornings when it’s still a bit dark outside. 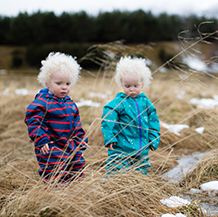 They’re made to fit so your little ones can comfortably explore the outdoors all day long. 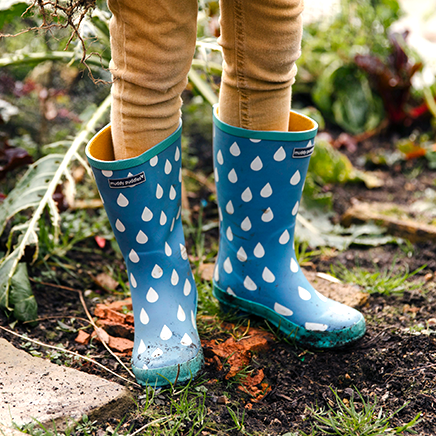 These wellies are perfect for school and nursery, as well as weekend adventures. Pair them with our toasty welly socks for cosy toes all year round.